It seems appropriate to discuss briefly the purpose of prayer, the necessity of it and how to in fact pray. What Is The Purpose Of This Common Practice? Prayer is entering into conversation with God by lifting up your mind and heart to Him. You should pray for four reasons. You should pray to adore God, to thank God, to ask for His forgiveness, and to ask Him to provide for your every need. You should pray first and foremost in order to adore God and tell Him how much you love Him. Secondly, you should pray to thank God for the blessings and graces He has given you. Everything you have, all the physical blessings as well as your health, freedom and happiness come from God. Next you should tell God how sorry you are for your sins and ask Him to forgive you. Keeping in mind this phrase from the Our Father , "and forgive us our trespasses as we forgive those who trespass against us," it is important to realize that Jesus was teaching how important it is to ask for God's forgiveness for the sins you have committed. This is important because those sins greatly offended God. You also need to forgive others who have offended you. 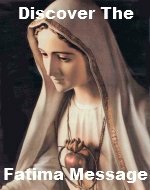 Finally, you should pray to ask for graces and blessings for yourself and for others. That is why in the Our Father you pray, "and lead us not into temptation". You are asking God to keep sending you the grace necessary to overcome the temptations to sin. Jesus Himself taught the Our Father prayer. The words, "give us this day our daily bread" teaches that God will give you each day all that is necessary for your body and soul. All you need to do is ask. Many people don't realize that there is a proper way to pray. When you are praying, you should pray with attention trying to keep your mind free from distractions. Pray with a humble conviction in the almighty power of God acknowledging your own utter helplessness and your complete dependence on God to provide for your every need. Pray with a strong desire for the graces for which you are asking. Pray with complete trust in God's goodness. Finally, pray with perseverance, never giving up, God's time is not our time, so be patient and keep praying even if the answer never seems to come. You should not only pray for yourself but also for your parents, relatives, friends, and even those you do not consider your friends (your enemies). Don't forget to pray for the conversion of sinners, for the souls in purgatory, for the Holy Father Pope Benedict XVI and his intentions (a pious practice is to pray one Our Father, one Hail Mary and one Glory Be for his intentions everyday), for the bishops, and priests (click here to learn more about the Rosary for Priests) and for government and world leaders, especially those of your own country. An important thing to remember when praying for the intentions of others is that you are always praying that God will do what is best for them. You often times do not know what is best for them or even what is best for yourself for that matter. But especially when praying for others, make sure you have the intention that God's Will be done in their life not your will. You may not always get what you pray for. This is so for one of two reasons. First, God knows all things and He knows better than you do what is best for you. Perhaps what you are asking for would not be for your own good. Another reason your prayers are not answered may be that you have not prayed properly. Remember there are five conditions that must be met when praying: attention, conviction, desire, trust and perseverance, with perseverance being the most difficult to achieve. When you say "Thy will be done on earth as it is in heaven," in the Our Father, you are praying that all men obey God on earth as willingly as the saints and angels obey Him in heaven. Your part in reaching this goal is by accepting the answers He sends to your prayers even if you don't understand. 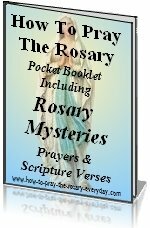 When praying the Rosary or anytime you pray, please keep in mind the advise given on this page. It is all rooted in sound Catholic teaching and founded upon the teachings outlined in the Baltimore Catechism. Now get back to praying those Rosaries!